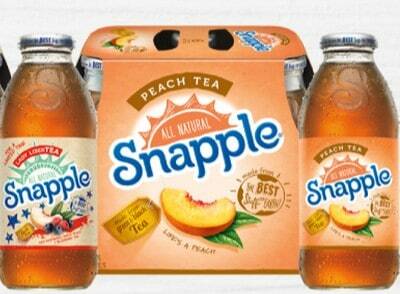 Walmart Coupon Deal: FREE Snapple Tea or Juice Drink! Hurry over to print off this great new coupon, available for a limited time, and grab a FREE Snapple Tea or Juice! You should be able to print off two! Theis coupon is good for up to $1.25 value and expires on 6/15/15. Print yours before they are gone.